Your cool new devices deserve faster internet and hassle-free Wi-Fi. If you have noticed slowdowns on your Wi-Fi network, it’s time to upgrade your Internet and Wi-Fi router to get the speed you need for maximum enjoyment when multiple people are streaming, gaming and more. Our trained technicians will install a new Wi-Fi router in your home, perform the tune-up, optimize your Wi-Fi network and make sure it works where you need it the most. Install new router with secure network passwords. Check for filter placement on phones, satellite dishes, security systems, outbuildings, etc. Check for the most updated modem. Verify customer has anti-virus software installed on all devices. We recommend Tech Home Support. Perform a speed test at speedtest.alpinecom.net to verify internet connection speed. Ensure devices on Wi-Fi network are connected and functioning. Complete Wi-Fi network password card. Place one card in the router box and tape one underneath the router. If your router looks like this, then it’s time to upgrade. With the increasing number of internet-connected devices in homes today, “old school” router technology may not be up to the demands. 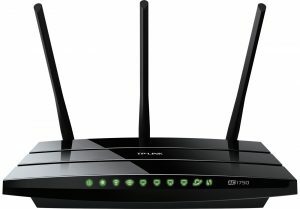 If your router is a few years old, we recommend upgrading to the TP-Link Archer C7. 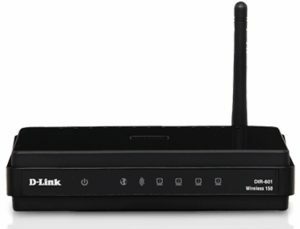 This dual-band router which can effectively handle 20 or more devices and provide better coverage throughout your home. For a limited time, get FREE installation with our 9-Point Wi-Fi Tune-Up when you upgrade your internet to a Gold package or higher and purchase a new TP-Link Dual-Band Wi-Fi Router (save over $100). Yes, I want FREE installation with Alpine's 9-Point Wi-Fi Tune-up when I upgrade my Alpine High-Speed Internet service to the package checked below and purchase a purchase a new TP-Link Dual Band Wi-Fi Router. *Some restrictions apply. A 12-month agreement is required. Alpine will connect two computers, laptops, or hand-held devices. Internet-connected devices such as smart TVs, streaming media players, gaming systems, and wireless printers will be billed at regular rates. Additional wiring, equipment, networking, or advanced programming will be billed at regular rates.